Before I left to visit with family, I picked up a few fabric finds in unexpected places. I was window shopping and stumbled upon these finds at Tuesday Mornings and Big Lots. The 6 yard kit was from Tuesday Mornings and I love the Blue and Green fabric colors from the kit. I probably won't follow the directions of the kit. But 6 yards of fabric for $10 is a bargain. The fat quarters I picked up at Big Lots. They were just thrown in a box around the kitchen towels of all places. I love the fall colors! I've been collecting $1 Fat Quarters and it's time to start using some! 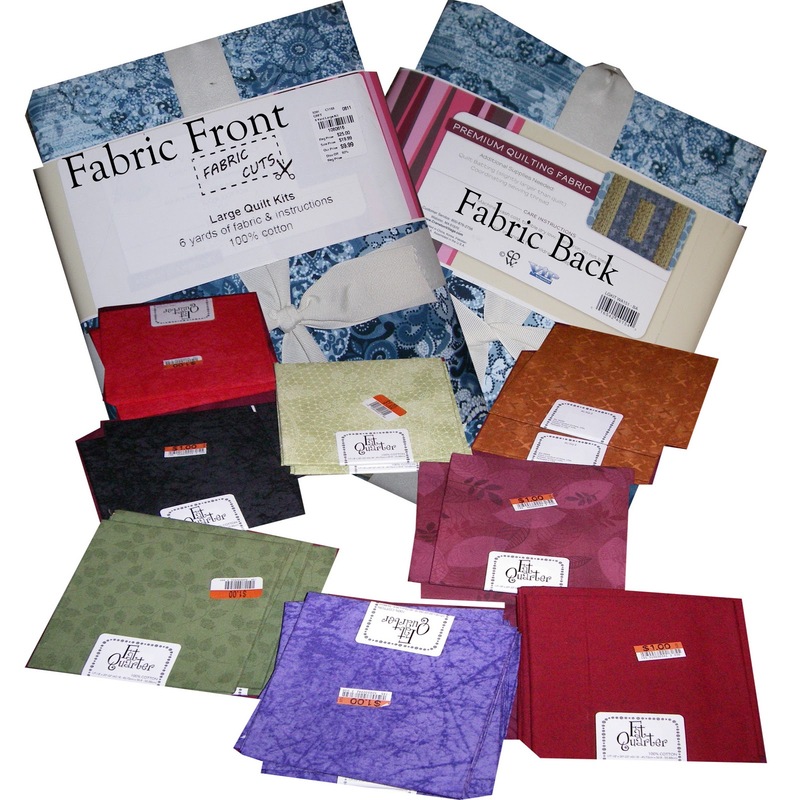 Where's your favorite unlikely place to find fabric?